If only the scent you left behind in the bathroom didn’t leave such a telltale sign of what just went down. After all, there are some bodily functions your roommate, significant other, or worse yet, your date shouldn’t be privy to. That’s where PORCELAIN comes in handy. PORCELAIN is an odor eliminator designed to leave the bathroom smelling fresh after every use. Unlike bathroom sprays, PORCELAIN doesn’t mask odor, it actually helps prevent it. A few drops in the toilet before you go and it’s like you never went. The founder, J.J. Shoemake, worked with an organic chemist to develop the formula that creates an odor shield across the surface of the water while actively reacting with and neutralizing the volatile gases. Available in a variety of light, discreet scents, PORCELAIN is your best kept bathroom secret when nature calls but you don’t want the whole world to know. I am excited and passionate about Porcelain Company. Some days I feel like a superhero. Batman has his car. Wonder woman has her golden lasso. I have Porcelain. And with Porcelain, I don’t leave bathroom odor behind and I can prevent others from doing so too. Inspired by Poo Pourri ? @Guest No, we were not inspired by that company. After learning about a spray that hunters use to remove human odor, and a friend that was making it, I started to think about making a product of this type. Hello! Apologies in advance, this may be a silly question but I was confused by the description...is it a spray bottle? Thank you! @roseann Not a silly question at all. The travel bottle is a spray bottle. The gift bottle dispenses PORCELAIN drops with a flick of the wrist. Does this product come in a variety of scents? There is no description of the scent. Is it floral or fruit or soemthing else? Also, in my family we use a few drops of essential oil for the same purpose. How is this product different? @Kathy Yes, Kathy, we offer PORCELAIN in five lovely fragrances. Simpatico. Belle. Day in the Country. Game Day. Teal. 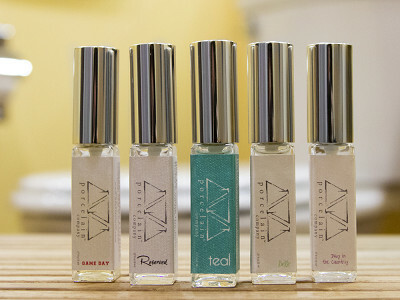 Each scent is different. If you tell me what you like I can direct you to a fragrance you will love. As to the difference between this and essential oil, the science is different. Oil clumps together on top of water. PORCELAIN creates a barrier that covers the entire surface AND actively targets the odor molecules in the water below the surface to neutralize and eliminate them. @MASEY Also, have there been any tests done on the environmental impact this would have in the water supply? Is it safe? @MASEY We are in "The Rocket City" otherwise known as Huntsville, Alabama. HSV is our airport call sign. Come visit! @J.J. Our product was designed by an organic chemist. The main ingredient is food safe. The other ingredients can be found in products that are likely in your bathroom right now. Can you describe each scent. I am really curious what Game Day might be as well as all the rest. I do like citrus over floral. Clean smells but that means different things to different people. I really prefer no scent at all. Do the scents linger in the air? @Carol I designed this product with a sensitivity to allergies in mind. The scents are noticeable but do not linger and take over your space. They dissipate quickly and do not bother most people that are affected by perfumes (I am one of those people). If you prefer citrus over floral, Belle is the fragrance for you! Game Day smells like a very handsome man. It has bold, earthy fragrance. Day in the Country is our lightest, almost not there fragrance. And it is not floral at all. Teal is tropical and fruity. It was designed with teens and tweens in mind. Simpatico is our original and most popular. It is normally described by others as fresh and clean. @J.J. Thanks so much for the scent descriptions! The names didn't really give much of a clue beyond Day in the Country (which I thought WOULD be floral) so that was a big help. You said the liquid drops spread out and coat the surface of the water, so how does the spray work? Do you spray the water? Are the sprays as effective? @Scarlett The sprays work in the same fashion. It is just a different delivery. The spray is just as effective. When we named Day in the Country, we were reminded of the nice refreshing breeze on a crisp, clear day. It is also skin safe. Lots of people have worn it as perfume because they didn't read the label. LOL! I had gastric bypass surgery about 7 years ago. With dumping syndrome that comes along with the side effects, would this product work for me? It's an embarrassing situation. @Joyclyn Yes, definitely! Since creating this product, I have talked to countless people with medical issues that have found great success with PORCELAIN. The best thing about PORCELAIN (besides the great fragrance) is that the packaging is so discreet, a 16 year girl with any of these issues doesn't have to be embarrassed about something natural. This product sounds like the most wonderful answer to such a common problem! How many of us have been stuck in public or at a friend's house and had to "go?" Now, if this is as great as it looks & sounds--we may not have to be so embarrassed! Can't wait to get mine & try it! @Judy Once you receive your bottle, you too will be a superhero! Can't wait to hear your feedback! Does it work in Litter boxes for cats? Wow! that would be so wonderful! We have not tested it on any animals - just boyfriends, cousins, nephews, and husbands. Sadly, they don't use kitty litter. Can this product be used in a camper/RV toilet? Would there be any negative effect or interference with the emptying of the black water tank? Would it interact with any holding tank chemicals? Thank you. @Pamela We have lots of people using it in RV's and boats. We have heard of no problems. Please let us know how this works for you. Happy (no more bans on chili) RV-ing! Was excited to try this product until I realized the shipping was more than the product itself. Very disappointed. @Kris Hi Kris - I hope you will give us a try. I understand your concerns about shipping costs. We made a decision a long time ago not to inflate our prices to hide shipping costs. I believe the shipping that is showing right now is an estimate. @Kris I just checked and the amount shown on the website was an estimate. The average orders have been running less than that estimate. Are you selling directly anywhere in Huntsville? @lamon You can get Porcelain at Topiary Tree on Pratt, at Harrison Bros Hardware downtown, at Silhouette on Whitesburg in the Publix Shopping Center, at AL Christopher in Five Points, and at Terrame Day Spa in Jones Valley. Are you kidding on the shipping? @luckymama According to the science, it seems like this wouldn't work if I walked into a bathroom where someone else has already "gone" and I want to get rid of any odor? @Kristie You are correct, Kristie. It is a prevention, not a cure. You can prevent future odor of others by placing it in the water and leaving it. As long as it hasn't been flushed, it will work hours later. Once it has been flushed, more PORCELAIN is needed to prevent odor. Please confirm, you just spray, or spill a few drops into the toilet bowl after the event? @Suzanne Hi Suzanne - no, PORCELAIN must be in the water BEFORE the event. Think of it this way...you spray or sprinkle PORCELAIN in the water first. So when anything else gets in the water, PORCELAIN is ready to neutralize it before the bad odor gets in to the air. If only the scent you left behind in the bathroom didn’t leave such a telltale sign of what just went down. After all, there are some bodily functions your roommate, significant other, or worse yet, your date shouldn’t be privy to. That’s where PORCELAIN comes in handy. 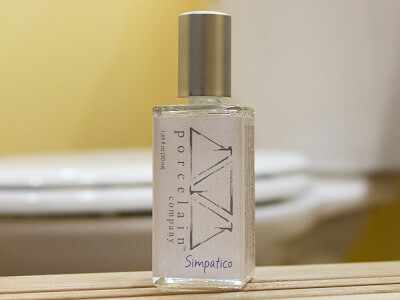 PORCELAIN is an odor eliminator designed to leave the bathroom smelling fresh after every use. Unlike bathroom sprays, PORCELAIN doesn’t mask odor, it actually helps prevent it. A few drops in the toilet before you go and it’s like you never went. The founder, J.J. Shoemake, worked with an organic chemist to develop the formula that creates an odor shield across the surface of the water while actively reacting with and neutralizing the volatile gases.